As Tech N9ne prepares for the release of All 6’s And 7’s, we thought it would be fitting to take a look back at what has made each and every Tech N9ne album unique. Tech’s album covers have always ensured that his records stand out from anyone else on the shelf, but they also help tell the story within the music. 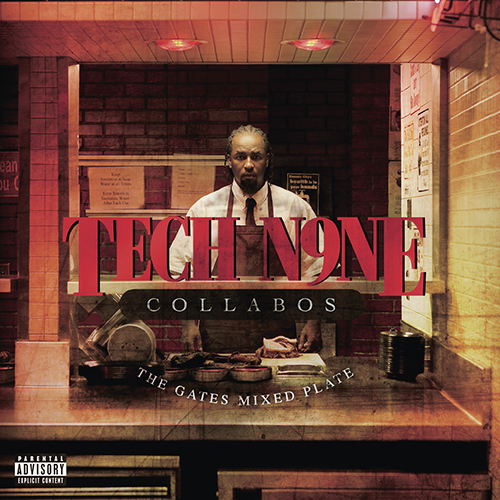 Spanning from Anghellic all the way to The Gates Mixed Plate, we would like to know what you, the fans, consider to be your favorite Tech N9ne album cover. Anghellic – Tech’s first national release under Strange Music, this album takes listeners through a spiritual and emotional ride into Tech N9ne’s life. The album begins in Hell, moves into Purgatory, and ends in Heaven with Tech having been through all the trials and tribulations bestowed upon a man trying to find good. The cover is perhaps Tech’s most iconic. It features the MC as an angel screaming in pain as he tries to find liberation. 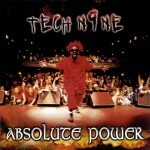 Absolute Power – After touring the country and witnessing his ability to control a crowd, there was only one thing left for Tech, Absolute Power. 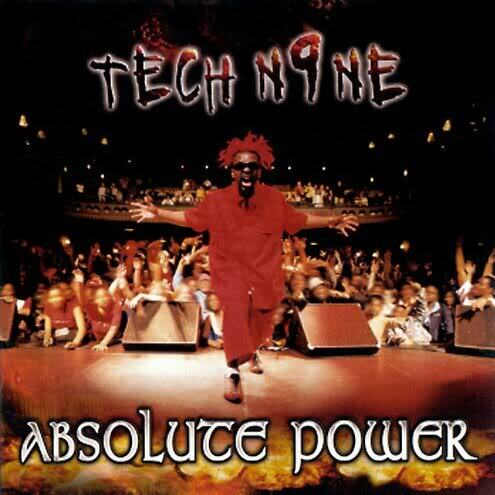 The album name and imagery was born out of Tech’s realization that he had absolute power over his audience. 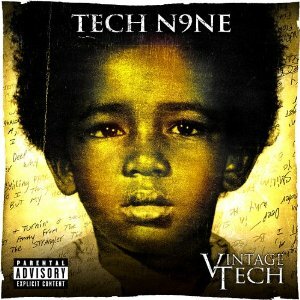 The album cover features Tech with his signature red hair, posing in front of a live audience at the historic Uptown Theater in Kansas City, MO. Vintage Tech – In an effort to give fans a piece of his past, Tech released this album full of older and unreleased material. 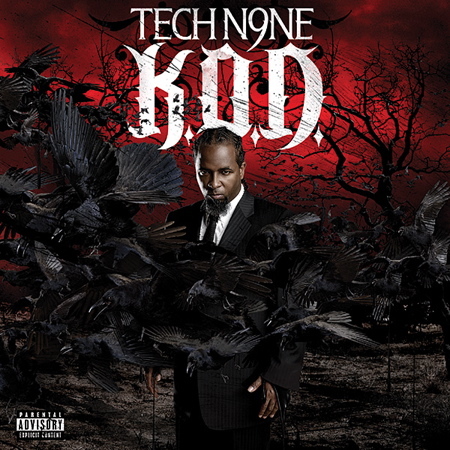 The front cover features rare photograph of a young Tech N9ne with handwritten lyrics as a background. The weathered looking cover is a perfect fit for this unique time capsule. 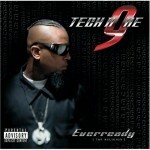 Everready: The Religion – After a four year delay, Tech N9ne finally released his third LP in 2006. Everready was Tech’s warning to the industry. The religion had arrived and Tech was ready to spread it more than ever. 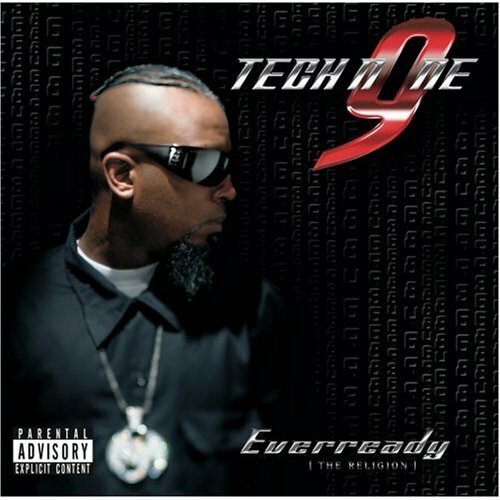 In a powerful profile shot, the cover depicts Tech N9ne with a new haircut and his Strange Music charm proudly displayed. Misery Loves Kompany – Tech’s first attempt at a Collabos project was a huge success that spawned hit singles and it’s own tour. 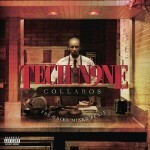 The album brought Tech N9ne together with some of his favorite MC’s to lay down some of his most memorable collaborations. Showing strength in numbers, the cover features Tech N9ne and his Strange Music cohorts dressed in black posing in a back alleyway. Killer – Tech N9ne’s first double album, Killer was a monster with 32 tracks loaded on two discs. The monumental project was partially inspired by Michael Jackson’s Thriller album. 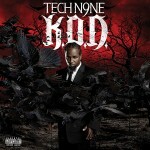 In a tribute to the king of pop, Tech N9ne replicated the iconic album cover down to the album’s logo. 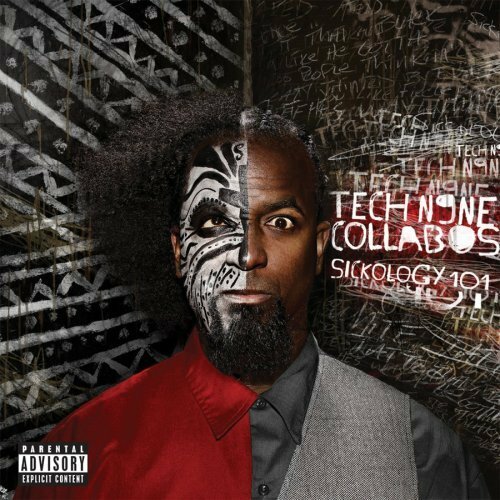 Sickology 101 – The second installment in Tech N9ne’s Collabos series, Sickology 101 was dubbed as a lesson in “the study of being sick”. Tech appears on the cover as a Jeckyll and Hyde of sorts. 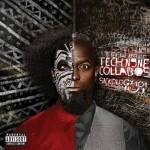 With half of his face painted in tribal war paint, the cover expresses Tech’s diverse style as heard on the album. K.O.D. – Following a stressful period of personal issues and depression, Tech N9ne returned with one of his darkest albums yet. K.O.D., which stands for King Of Darkness, was reminiscent to some of Tech’s earlier work on Anghellic. The album’s artwork was some of Tech’s best. The blood red scenery was coupled with pitch black ravens surrounding the lone King Of Darkness. The Gates Mixed Plate -The third LP in the Collabos series, this album was dedicated to Kansas City’s own Gates Bar-B-Que. Stepping away from all of the dark music, Tech delivered a party album full of lighter music for his fans to enjoy. The cover is fashioned after the famous Gates restaurant. The theme is completed by Tech N9ne in full uniform preparing an order of barbecue behind the Gates kitchen counter. Vote below for your favorite Tech N9ne album cover. 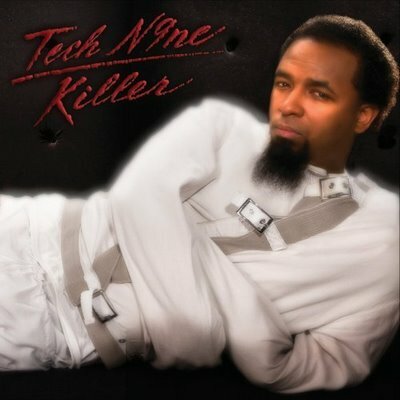 Favorite Tech N9ne Album Cover?